In the late 1800’s a fighting system known as Tode or Okinawan Te (known today as Karate), was practiced freely around the three provinces of Okinawa: Shuri, Naha and Tomari. Many Masters began to emerge at this time but none as well known or as influential as Ankoh Itosu and Kanryo Higaonna. Itosu, based in the city of Shuri, taught what was then known as Shuri-Te, emphasizing powerful and rapid lightning-like techniques of attack. 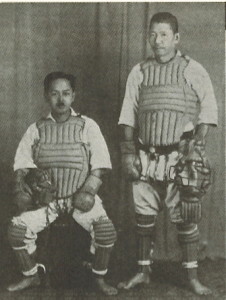 Higaonna was based in the city of Naha and taught what was then known as Naha-Te. This system emphasized slow breathing, dynamic techniques enhancing internal strength. From the city of Shuri came a young boy in poor health who relied on his study of this Okinawan fighting art to restore health and strength. And so young Kenwa Mabuni began his studies under Master Itosu, later combining his knowledge with more training under Master Higaonna. They were to become his two most influential teachers. Kenwa Mabuni threw himself into his martial arts, never once allowing a day to go by without training. He was known to continue his training outdoors even while the tiny island was being lashed by typhoon. When he later became a local policeman and was required to make regular patrols he seized the opportunity provided by his travel to train with as many other Karate-Ka as he could, always testing and developing his skills. 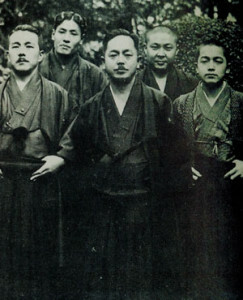 When he had mastered the techniques of his two original Masters, and those of others he had trained with along the way, Kenwa Mabuni combined the systems to form a truly diverse fighting art. 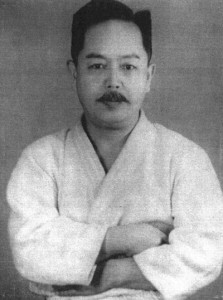 After moving his family to Osaka in 1928 to take up teaching his fighting system full time, he initially called his system ‘Hanko ryu’ meaning ‘Half hard style’ however he later changed it to Shito-Ryu, which was a far more symbolic name, formulated by taking the pronunciation of the characters of his two great Masters’ names – ‘Shi’ deriving from the character ITO in Itosu, and ‘To’ deriving from the character HIGA in Higaonna. The word Ryu simply means style or system. 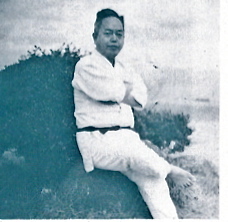 Kenwa Mabuni died in May 1952, however we can all be grateful that through his teachings the Shito-Ryu system still thrives thanks to the many well known and prolific students he taught, who now continue to promote his system – a system which dominates the art and sport of Karate today.